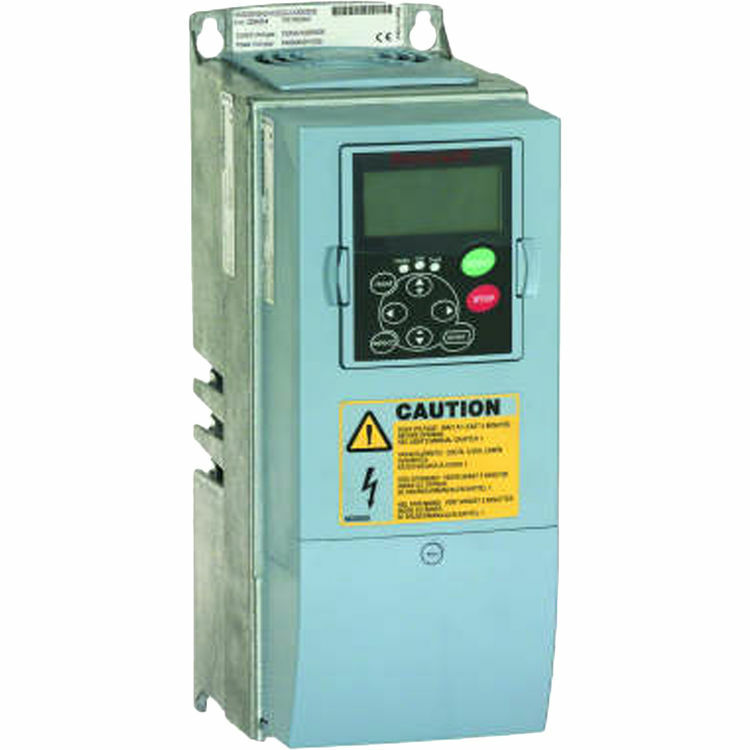 Honeywell NXS0400A1208 40 HP VFD W/Display, 480 V, NEMA 12 Variable Frequency Drive. Variable Frequency Drives (VFD) accept a control input and then output tailored PWM control signal to operate(fans, pumps, etc.) with maximum efficiency. The VFD can be field-programmed without any extra devices or computer connections. Seven configurable applications built in. Easy commissioning through software or control panel. Devices can be wall-mounted or panel-mounted. Eleven protective functions (see Form 63-2600, Users Manual, Technical Data sections). Insulated gate bi-polar transistor (IGBT) technology. Modbus, BacNet, Device Net, Profibus, LobBus, NS available as options cards.